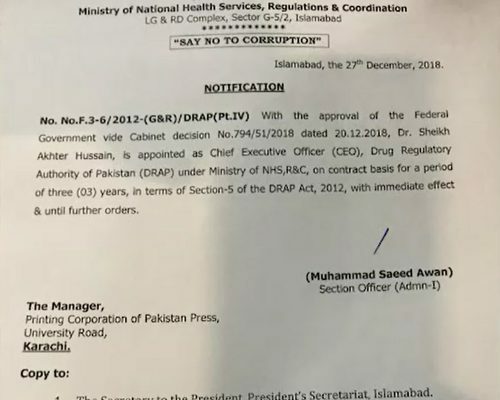 ISLAMABAD (92 News) – The government has appointed Dr Sheikh Akhtar Hussain as chief executive officer of the Drug Regulatory Authority of Pakistan. The Cabinet Division has issued a notification in this regard. The appointment will be of three-year duration.